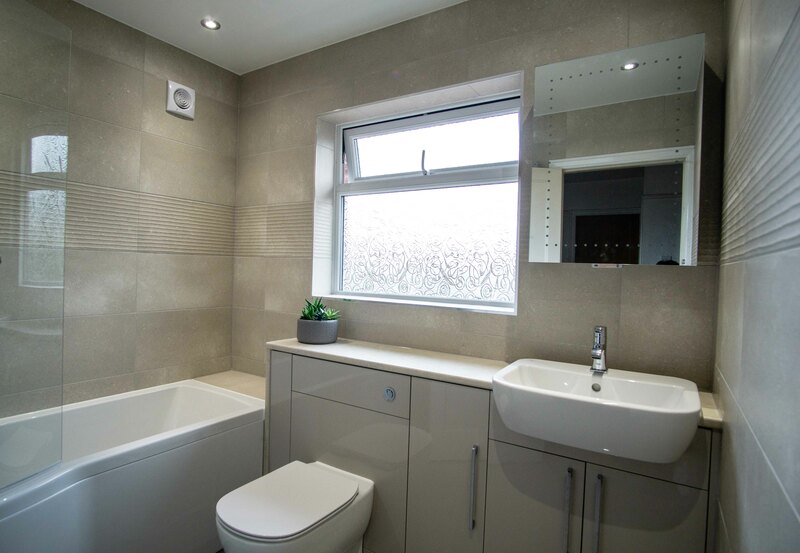 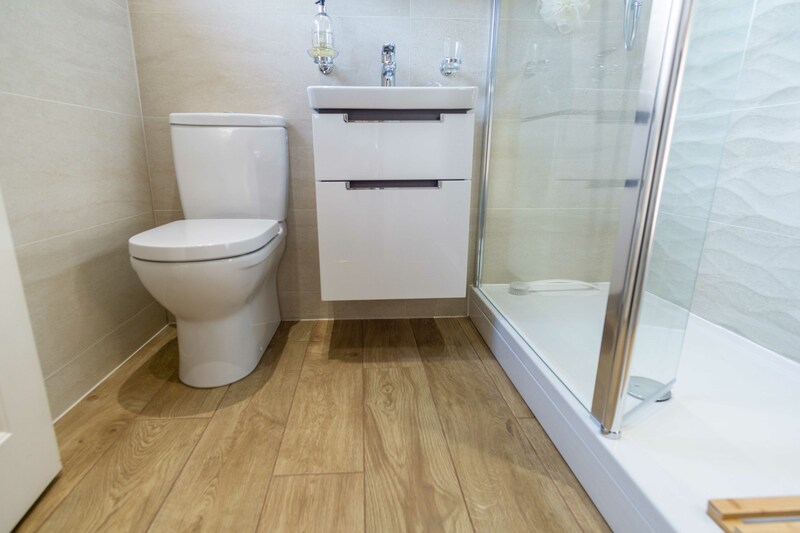 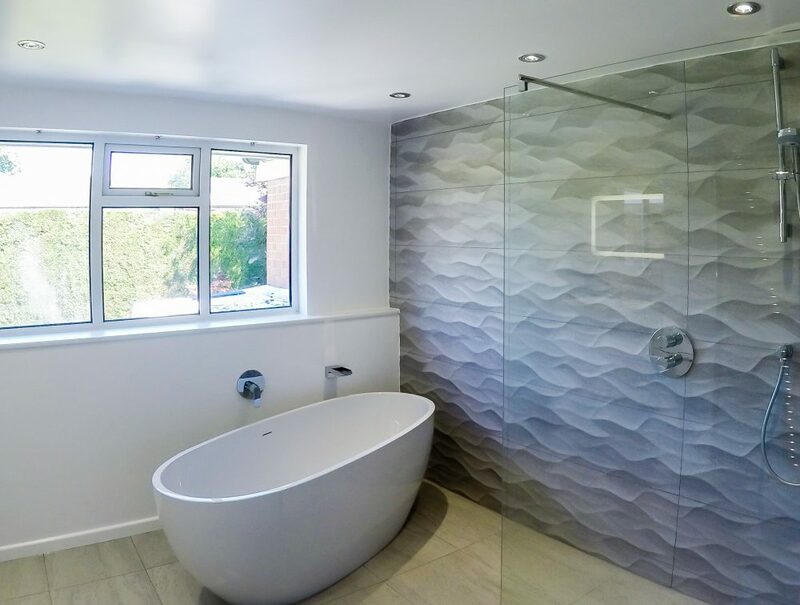 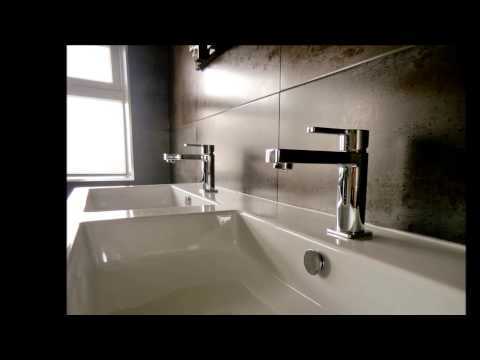 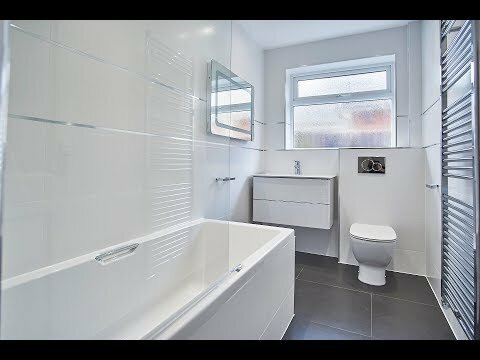 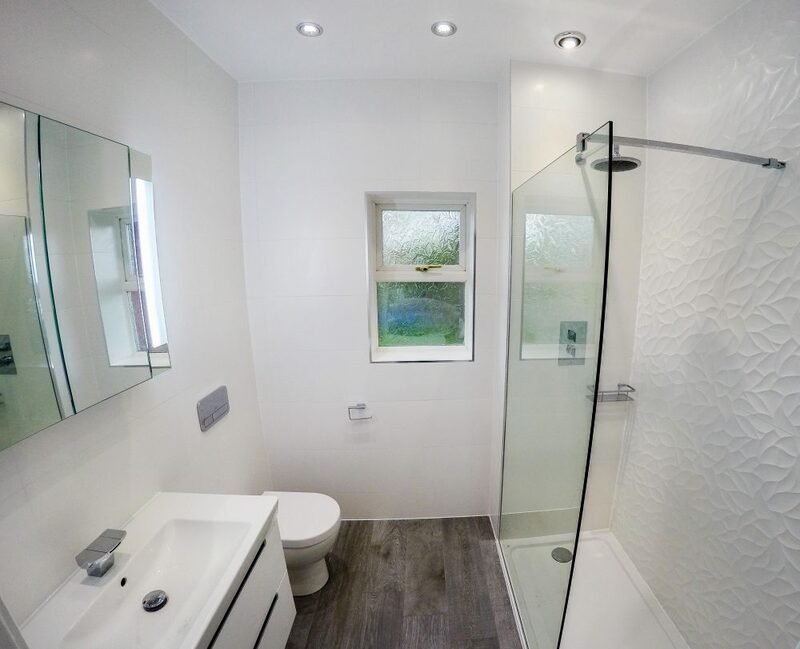 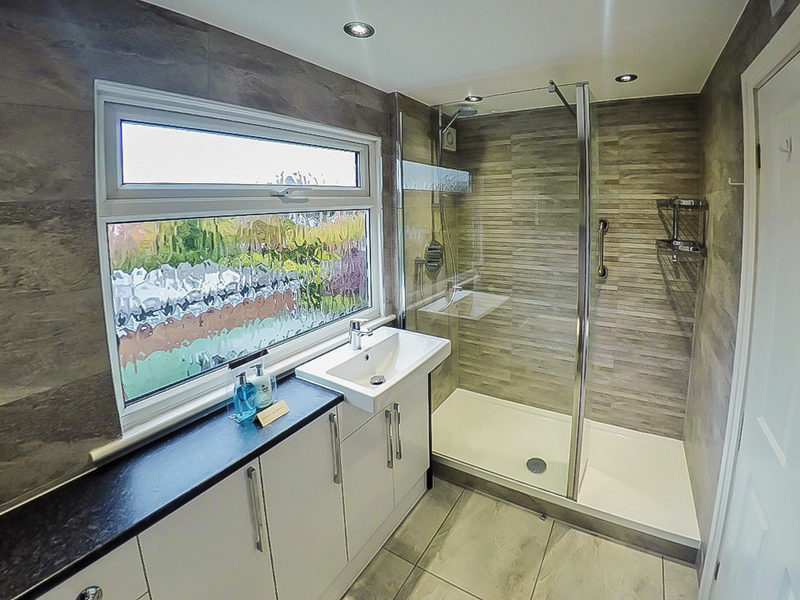 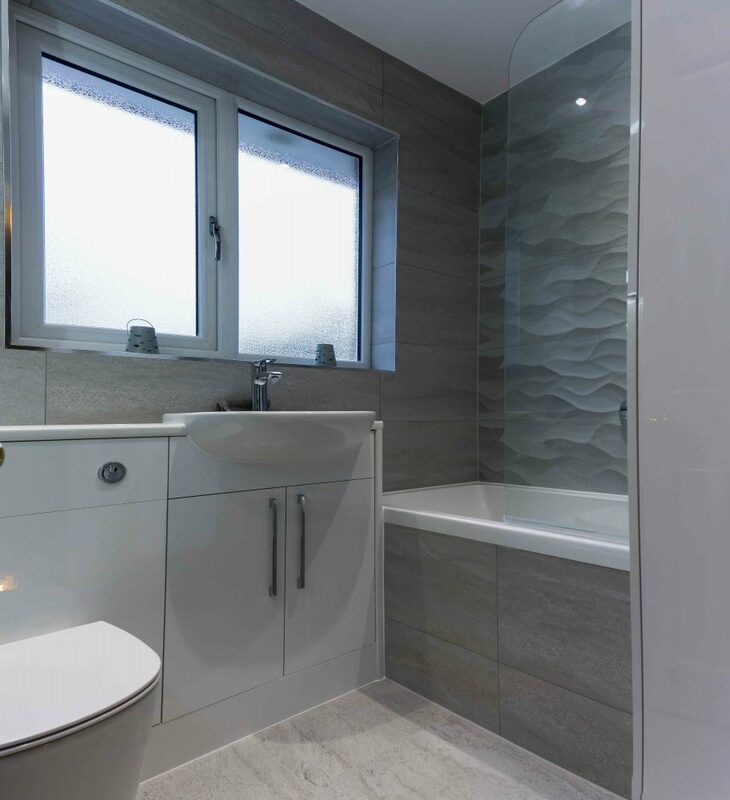 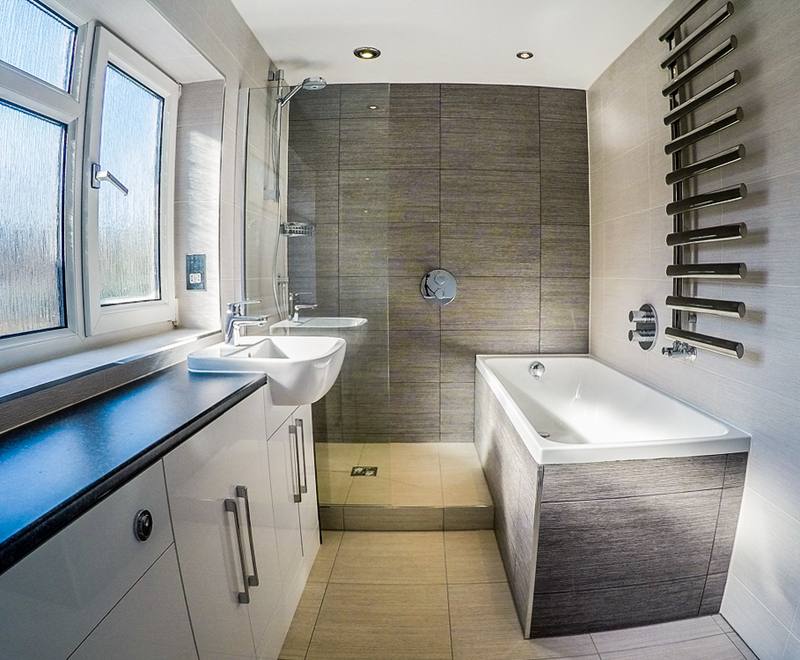 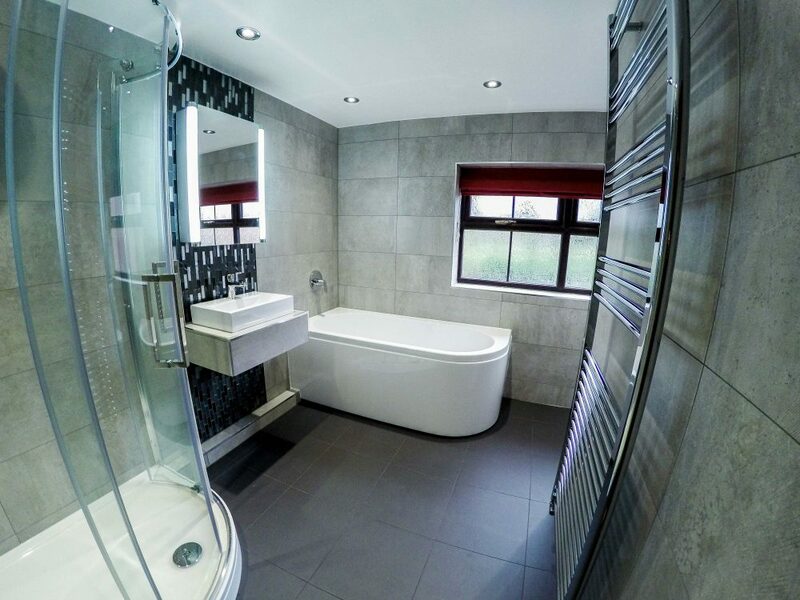 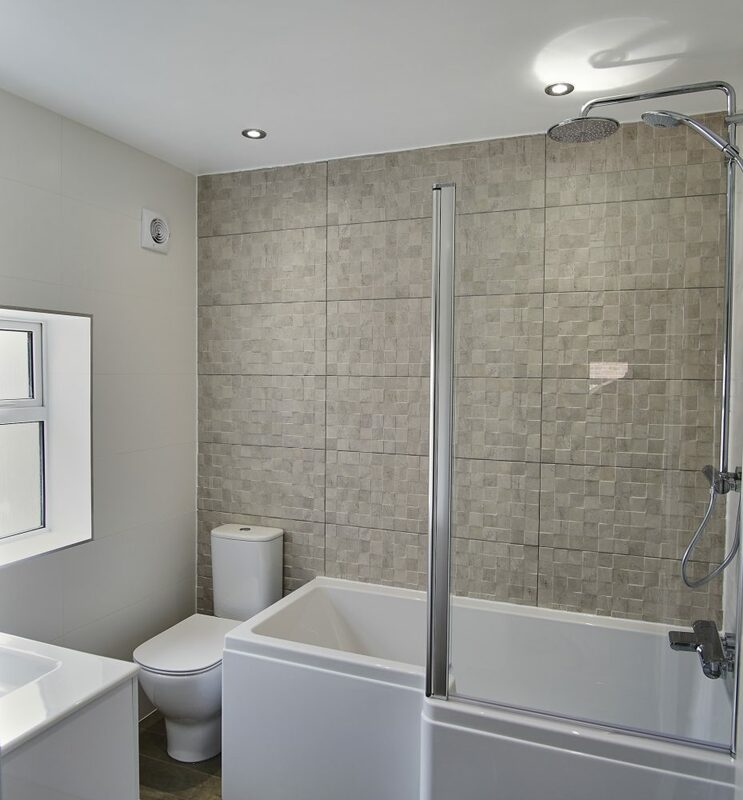 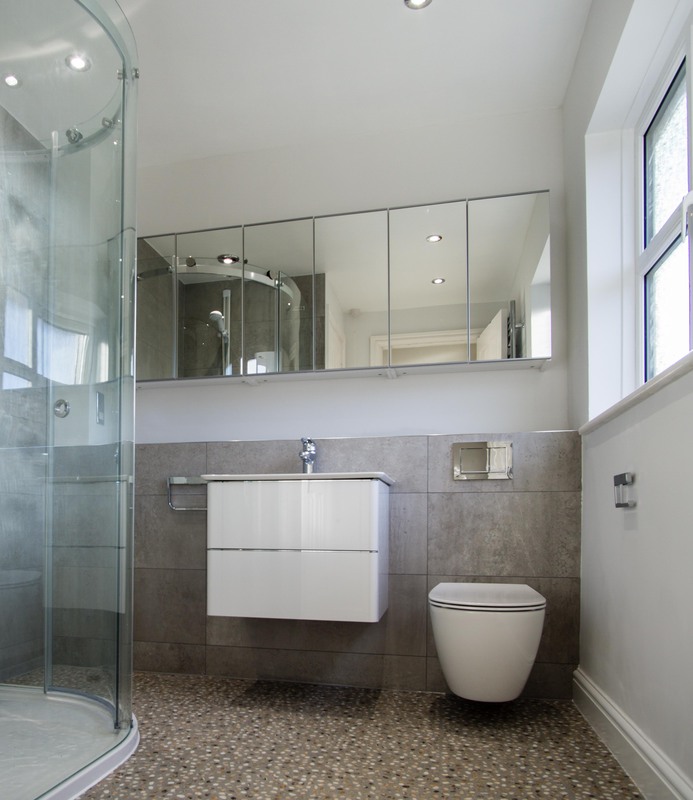 This bathroom required a total refurbishment. 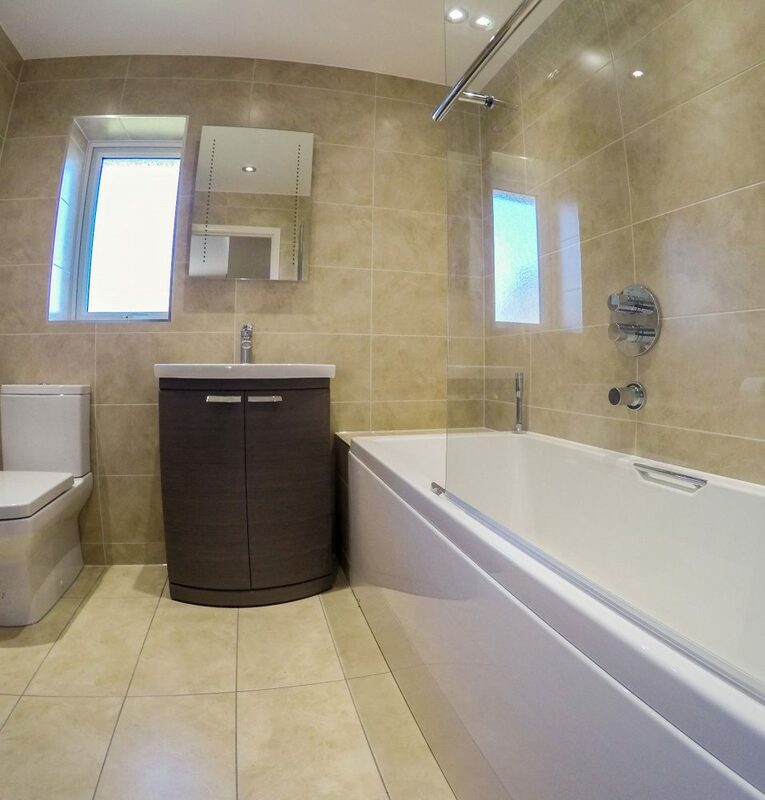 The property still had the original bathroom fitted. 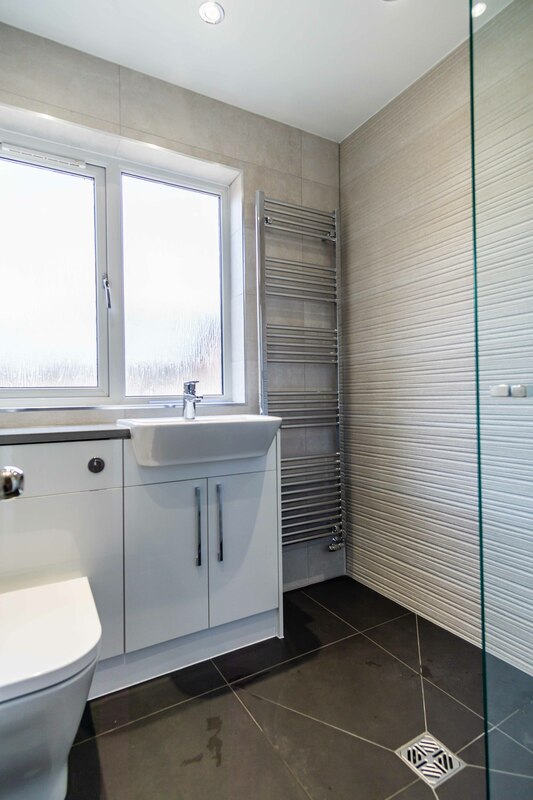 Everything had to be removed and taken back to bare brick in order to complete this project effectively. 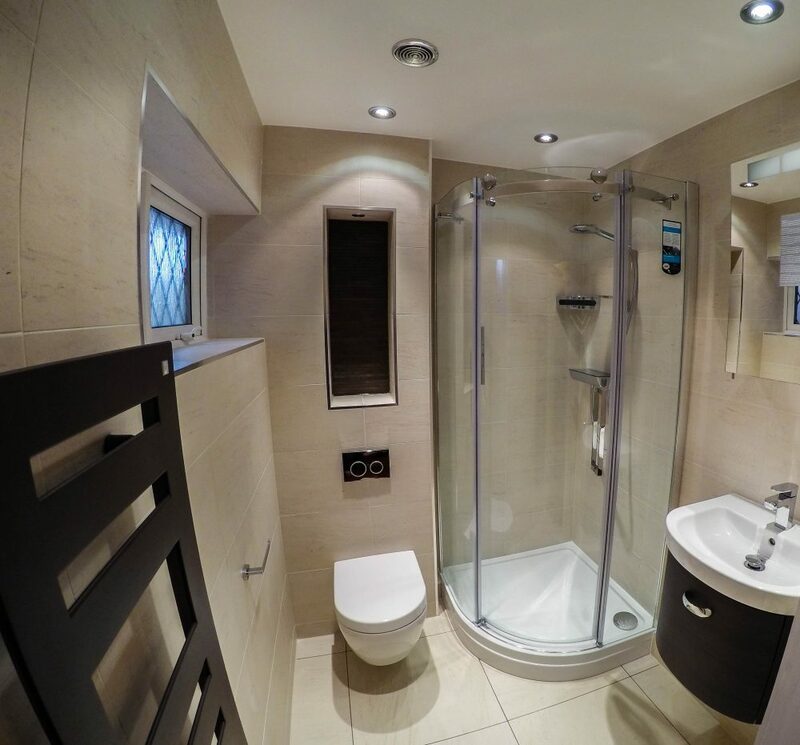 This project involved moving all items apart from the WC to new positions. 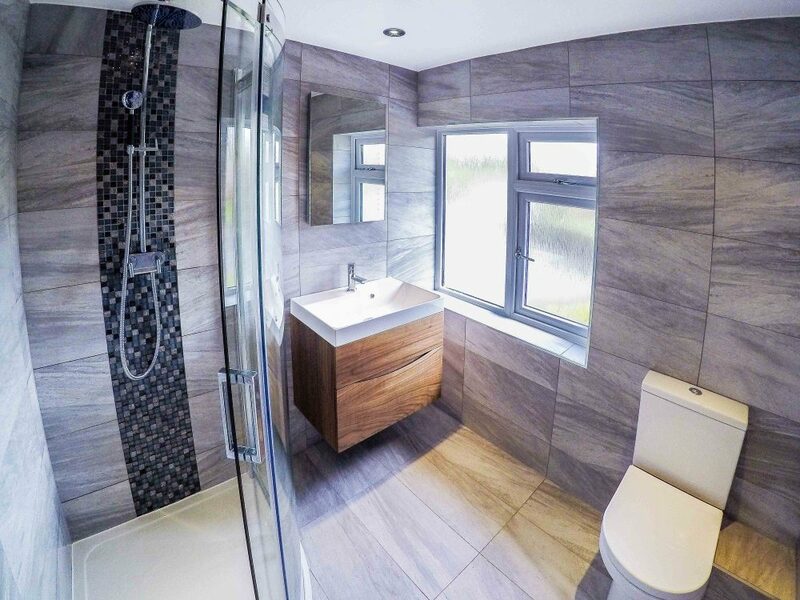 In this project we used Hansgrohe brassware, Villeroy & Boch WC and vanity from the Venticello collection, Porcelanosa wall and floor tiles. 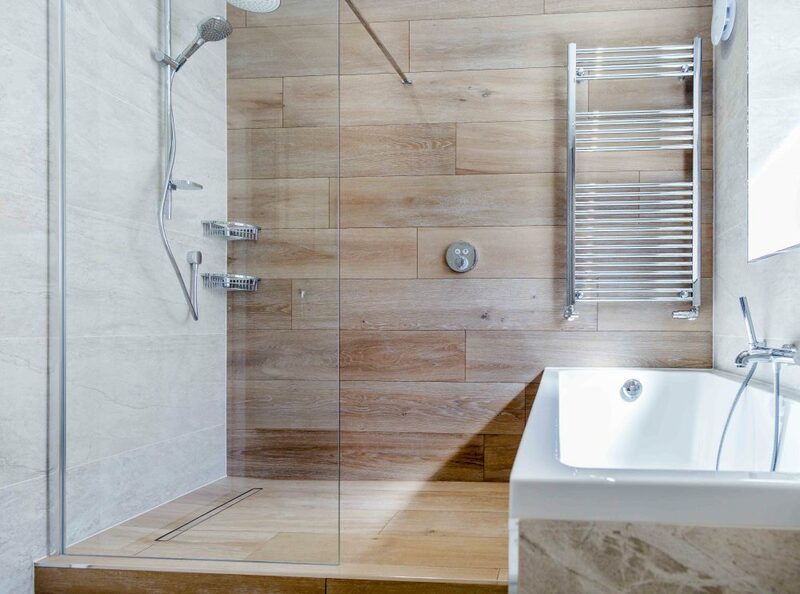 The wetroom tray was supplied by Impey. 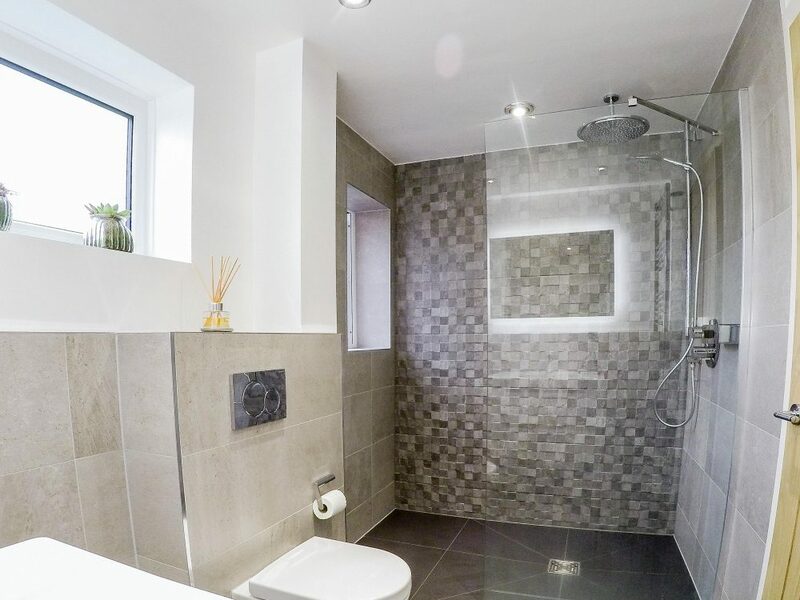 This wetroom was a little over 1 metre wide and only 1.8 metres long. 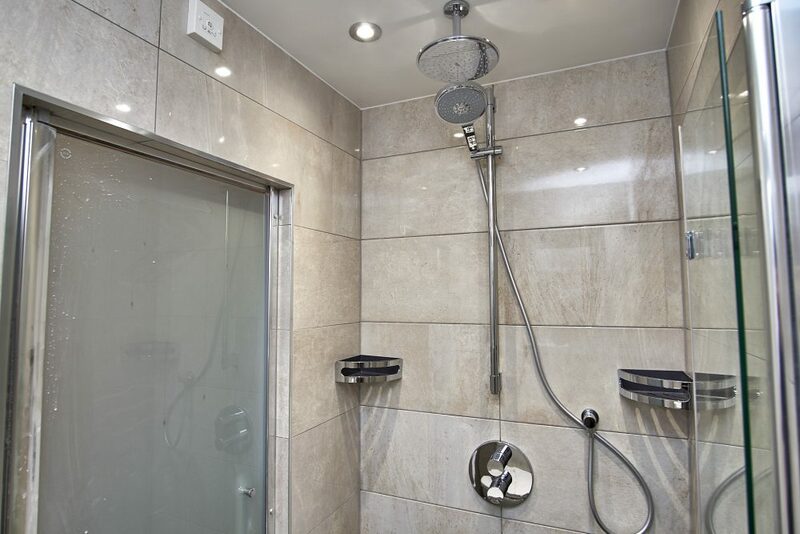 The old wetroom installation had failed and had lead to extensive water damage to the floor and ceiling below.